The Montessori method was developed by Dr. Maria Montessori in Italy. The Montessori method assists children in developing concentration, order and coordination to move towards independence and develop self-esteem. It improves the behavior of children, increases their happiness, and love of learning. 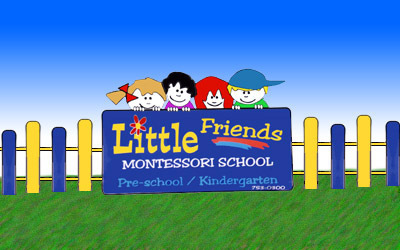 The Montessori method of education is uniquely different from other preschool programs. It is based on a sensible balance between freedom and structure specifically designed for the young child. It has several key elements. They are: structure & order, reality & nature, and the Montessori materials.